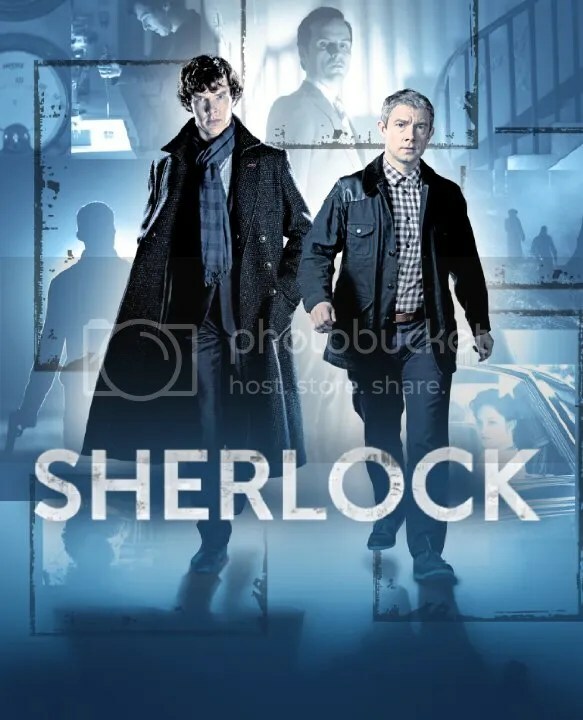 A modern-day update as Sherlock Holmes and Dr. John Watson take on cases in 21st Century London. 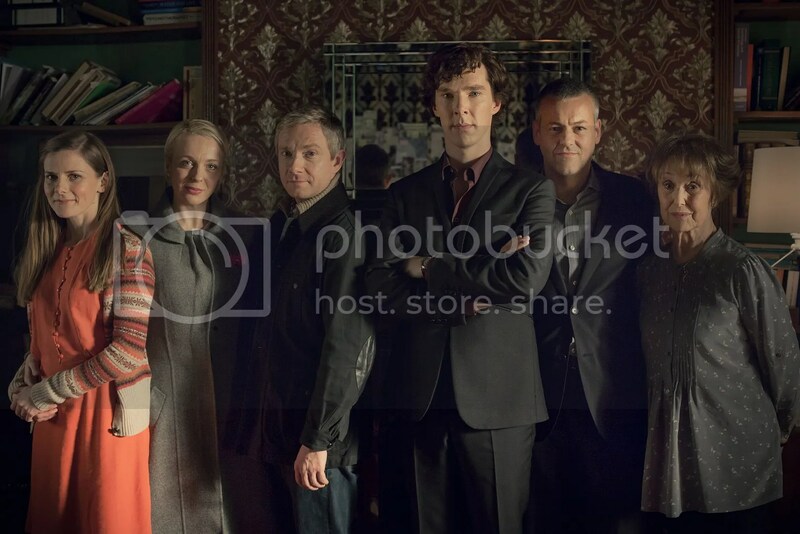 I am a little bit behind on catching up with Sherlock considering the first season was originally broadcast in 2010. But thanks to Netflix UK I watched season one and two very quickly as a was taken in by this incredible drama. Trying to then find just season three was a very difficult task and I had to buy it on iTunes and wait just about 12 hours for the three episodes to download. So yes it took longer for them to download than it did to actually watch them. But at least I got there in the end and I could enjoy three more incredible episodes in probably one of the best ever TV Series or Mini-Series as they like to call them now. 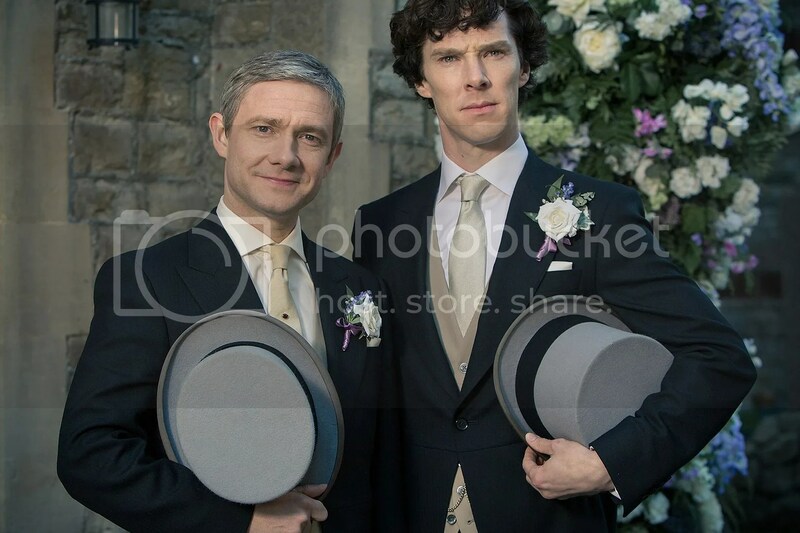 Benedict Cumberbatch and Martin Freeman . . . What a truly incredible duo to get as Holmes and Watson. Considering over the past few years they have come through as A listers when it comes to film roles. So to have them both in this TV series really is something. They work so well together and the chemistry between them is fantastic. It has to be good or it just wouldn’t work at all. They are believable as best friends and bounce off one another in an incredible way, truly unique. I thoroughly enjoyed every single episode and it has some moments that will actually make you laugh out loud. With the mannerisms from Sherlock and his nature of not actually being able to feel anything. But is that true? Watch all of the episodes to find out if there’s more to him than meets the eye. The story starts off very well and the first episode really helps to set all the scenes and introduces the characters in the best ways possible. Not rushed and really makes sure you understand who everyone is, highlighting right away who is going to be important. 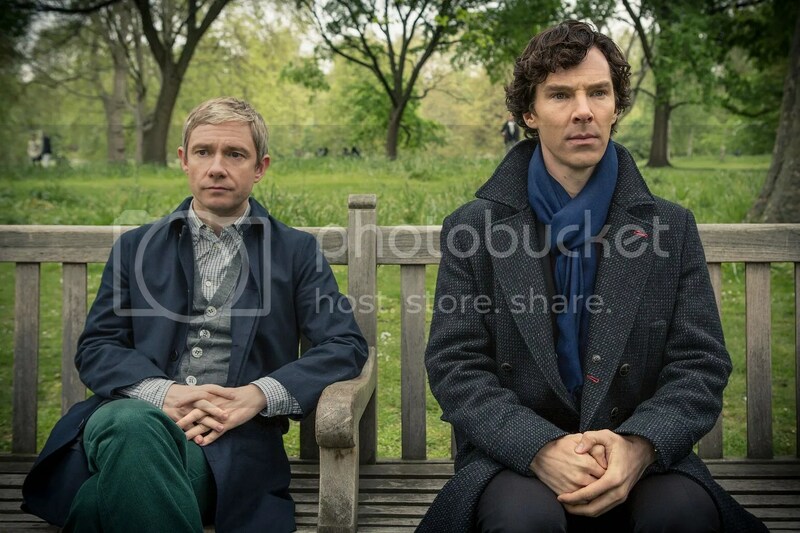 I loved the build up of Sherlock and John’s friendship and how they are the perfect partners for solving crime. The gay references are very amusing throughout as well. Mycroft is a brilliant character and really keeps his brother (Sherlock) on his toes. They share some fantastic scenes and arguments which are hilarious at times as they both act like little children when they are together. Trying to get one over on each other and play the game trying to win. But with all that aside they do look out for one another as well. It helps give another relationship and create another interesting addition to the plots. One of the best things about each episode has to be that some parts of the storylines are constant and go throughout all seasons and flashback to different events which happened. While we also get some smaller plots in the forms of the cases episode by episode. But the key is the longer running storylines they keep you wondering, just when you’ve started to forget about a particular thing they bring it back. One of the best wedding speeches you will ever see takes place in season 3 as Sherlock delivers the most awkward and strange speech. Yet somehow manages to pull it off, honestly I just thought that was so brilliant. You cannot help but feel sorry for him as well, totally out of his comfort zone. But like with everything else Holmes manages to bring his unique charm to it all and everything is kinda alright in the end. I was already becoming a big fan of Cumberbatch having seen his film roles over the past couple of years, but this really has confirmed it for me. He is an incredible actor, Sherlock must be such an intense and different role. The way he plays it is so cool it’s actually quite unreal. Then having him paired with Freeman who has been on the rise for years now as well, really is a match made in heaven. They are brilliant together. Freeman giving it even more of an edge with his great manner. It’s the little things which make it even better with Watson telling Holmes if he has overstepped the mark with one of his comments, which happens quite a lot and becomes quite a trademark. It was certainly one of those things as I was watching was wondering why on earth I hadn’t already seen it. I really could not recommend this enough (if you haven’t already seen it). I think I could actually watch them all over again as well and not get bored of them. They really do have so much going on, I am disappointed that I now have to wait until Christmas 2015 for a special and then 2016 for the next season. I feel for the people who have watched them on TV from the start, that is a lot of waiting time for the next fix. But I am sure it will be more than worth it. I think another brilliant thing about the episodes is that you don’t compare any of it to the most recent films with Robert Downey Jr. or any other Sherlock you might have seen. With it being in modern-day London, and I must add that some of the shots of London are incredible. They really do it justice in making it an incredible backdrop for some of the action. Especially if they are on a roof and have it in the background. That actually happens a couple of times if I remember rightly. Didn’t want to put any spoilers in for the episodes but they keep you guessing and leave you hanging with the episodes. That is a brilliant thing about watching on Netflix, you can quickly just lose a day or two by watching back to back. So don’t waste anymore time and get the game on! 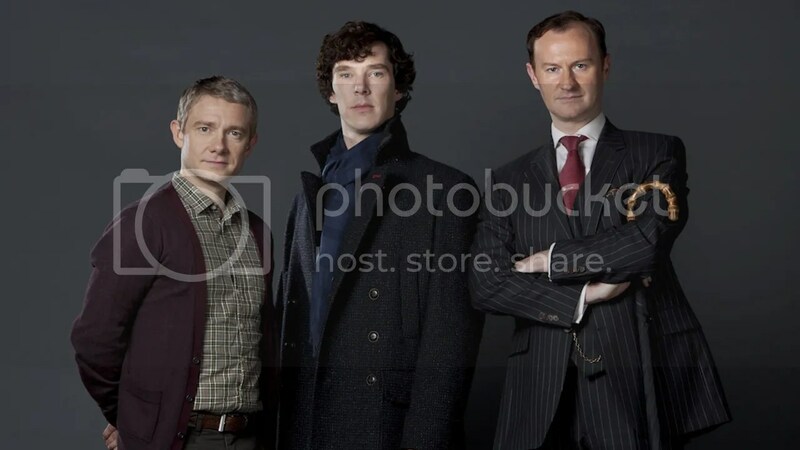 Sherlock really is fantastic, got to love the updated modern version, not forgetting Cumberbatch and Freeman! Benedict Cumberbatch has now become my FAVORITE Sherlock! He is fantastic and such a joy to watch. I want more already! We need the 4th season now! I was devastated to find out it’s not until 2016 with the Christmas special in 2015 ahhh! Good job both actors will be providing us with films to keep us going. Hopefully season 1 and 2 will stay on Netflix as well so I can re-watch before the new seasons! Love this modern re-imagining of Conan Doyle’s world, Cumberbatch and Freeman are pefectly cast and the scripts a neat, yet faithful update of the source material. Totally think thats another reason why it’s so good they have still managed to keep the important details from the source material. Just shows that we still have a lot of the same issues now and that things don’t really change in the scheme of things!